The dairy industry helped La Palma become an affluent community. 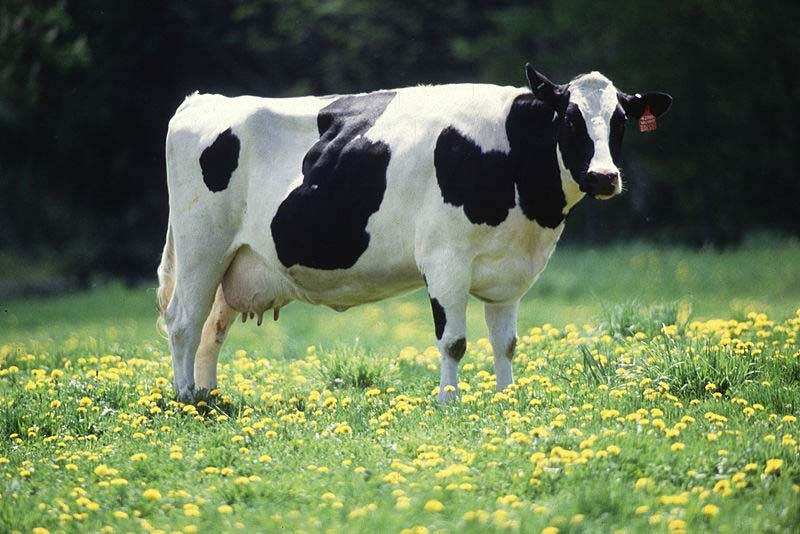 The humble cow has had a big role in the history of Orange County. One former “cow town” that stubbornly fought to maintain its bovine heritage lost the battle but found a new identity as one of the nation’s most desirable cities in which to live. Three times named one of the best in the USA? Surely, I’m writing about Irvine, right? Could be, but in this instance it’s the tiny community of La Palma, just 1.82 miles square making it the smallest incorporated city in the OC, half the size of nearby Stanton (about three squares miles). One of the most significant events in Orange County history came in the early 1860s, a generation before there even was an Orange County. Not long after California passed from being a Mexican province to an American state, speculators such as Abel Stearns began buying up all or part of the old land grant ranchos. Best suited for cattle crazing, the industry got a rude shock. On Christmas Eve of 1861, a storm began that lasted a biblical 30 days, raining down near-ruin on the area that would eventually become Orange County. The rain was followed by a long drought, and that one-two punch from Mother Nature killed off the great herds of cattle, and dropped the value of land in the areas of Rancho Los Cerritos and Rancho Los Coyotes to near the vanishing point. The cow business disappeared except in the vestigial industry of dairy farms. Such aromatic agriculture hung on through the OC in various locations (the author lives on the land once known as Fairchild Dairy in Garden Grove), but gave way to tracts and strip malls. Resistance was heartier in two towns in northwest Orange County. Determined to fight off the developers and preserve their way of life, residents and dairymen created two new cities, Dairyland (in 1955) and Dairy City (1956). The idea was that by having control over land use, these small but defiant cities could stand off the coming of the tract homes. Zoning laws excluded housing developments, and the new cities were mostly strawberry fields, chicken ranches and dairies, of which there were 18 at the peak in the former. According to local legend, Dairyland (now, you guessed it, La Palma) got its name from a combination of the community’s purpose and an allusion to nearby Disneyland. But Dairyland (and Dairy City and even Dairy Valley – eventually Cerritos) wasn’t quite as successful as Walt’s dream. State tax laws started to chip away at the financial viability of the farming business, especially as construction in adjacent cities raised land values so much that the rising property taxes and property values spelled the doom of the old way of life. La Palma city logo; can you spot the cow in the lower left? In 1964, the city fathers threw in the towel and moved the community onto a new path. Newcomers to town complained about the smell and flies that accompanied the city’s namesake industry and the die was cast. The name was changed to La Palma (the city’s main artery is La Palma Avenue) in 1965, and fields of alfalfa gave way to planned development. By 1973, only one dairy remained. 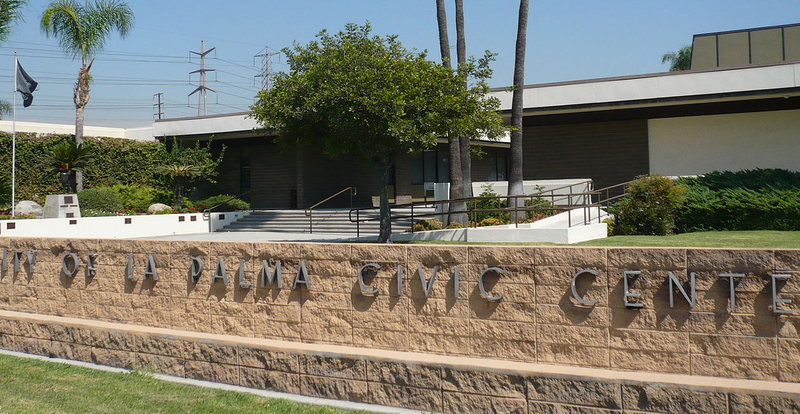 In many ways, La Palma can credit those stubborn dairymen with its present affluent state; communities that grew pall mall in the Fifties ended up with problems such as chaotic land use, inadequate park systems and other issues. Today’s La Palma, tucked against the border with Los Angeles County and with Cerritos to the north and west, Cypress on the south and west and Buena Park on the east, can claim the “good life” for its nearly 16,000 residents. It has a high average household income (an estimated $83,150 in 2010, $25,000 higher than the state average), robust housing values, a low crime rate, and local schools with top test scores. It has a large park system for a city its size and is home to John F. Kennedy High School, part of the Anaheim Union High School District. The Performing Arts Center on the campus is one of the largest of any in the state for a high school campus. In recent years, La Palma has been honored by CNN and Money magazine as among the best smaller cities in the nation in which to live, most recently in 2013. So, except for on the city seal, the modest cow has pretty much disappeared from what was once Dairyland. But if it wasn’t for a bunch of unyielding milk men and women 70 years ago, La Palma might not be the small jewel that it is today. Sources: Wikipedia, “Orange County Place Names A to Z” (Phil Brigandi), Los Angeles Times, City of La Palma, Orangecounty.net, “Garden Grove: A History of the Big Strawberry” (Jim Tortolano).